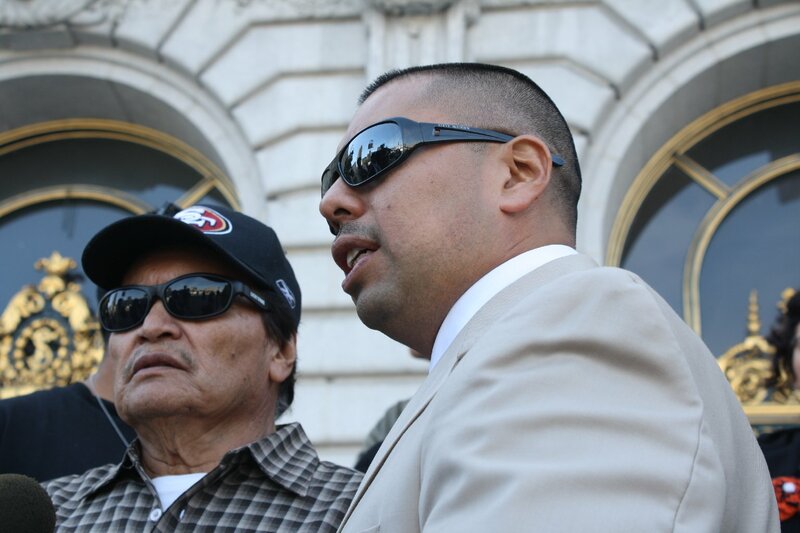 The parents of Alejandro Nieto, the 28-year-old man shot and killed by San Francisco police officers in Bernal Heights Park March 21, filed a wrongful death claim against the city on Monday. The family, which is seeking unlimited damages, hopes the legal threat will pressure the police department and medical examiner into releasing more information about the shooting. Gabriel Zitrin, spokesman for the San Francisco City Attorney's Office, said the city has 45 days to respond to the claim, which can either be denied by the city attorney, or recommended to the Board of Supervisors for settlement. Filing a claim with the city is typically a precursor to a wrongful death lawsuit. The family's attorney, civil rights litigator John Burris, is also calling for a federal investigation into the shooting of Nieto, a civic-minded man loved by many in his neighborhood. 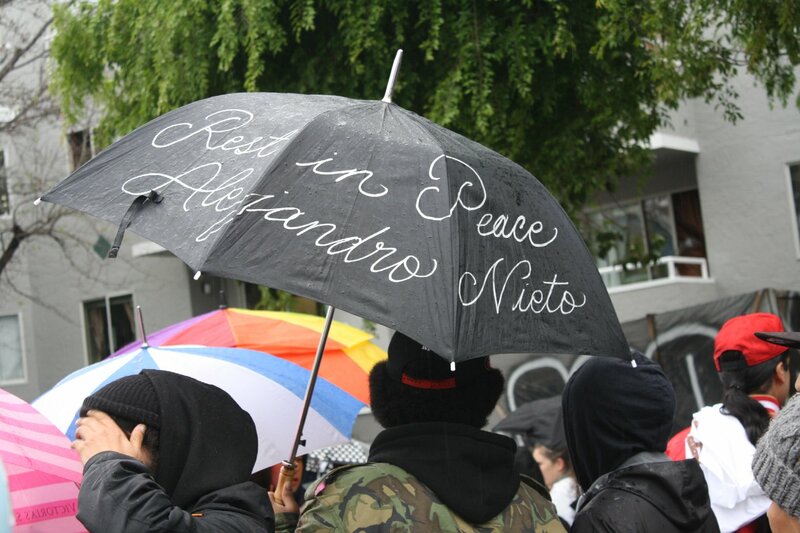 "We’re requesting that the U.S. attorneys here, the Department of Justice, conduct an independent investigation into the circumstances surrounding (Nieto's) death, and if necessary, file criminal charges against these officers," Burris said Monday. Addressing a March 25 neighborhood meeting about the shooting, San Francisco Police Chief Greg Suhr said Nieto had aimed a Taser at officers and "tracked" them with the stun gun's laser sight. He said officers were responding to calls about a man with a gun, and they believed Nieto was about to shoot them with a firearm. But Nieto's friends and family say it's impossible to believe the City College criminal justice student, a former intern with the city's probation department, would point a weapon at officers. They think that after people saw Nieto with the Taser he carried on his hip for his job as a security guard, police arrived and shot him without warning. "There's a bit of a cowboy element to this," Burris said. The claim alleges Nieto was shot at least 10 times, including once in the forehead. Burris said that information came from his office's independent viewing of Nieto's body, because the San Francisco medical examiner has not released a report. The medical examiner did not return requests for information about the report's status. Nieto's friend, Ben Bac Sierra, said he obtained audio from a home security camera that captured multiple bursts of gunfire, but police have not released dispatch tapes from the incident. Nieto's family is also alleging police illegally confiscated and searched his car the day after the shooting -- without a warrant or permission. That occurred after police questioned the family for more than 30 minutes without telling them their son had been shot, the claim alleges. A family spokesman said that only after Nieto's parents refused to let police search their son's bedroom did they tell them Nieto was dead and confiscated his car. "That doesn't make a lot of sense," Burris said of the car search. "He was not in the car, he had not come from the car. That car was towed ... and searched without the family's permission. That obviously in many ways is a constitutional violation because the car was searched without a search warrant. But that's the treatment aspect of it that was most disturbing. There was no respect given to the family after the shooting had taken place." San Francisco police Sgt. Danielle Newman said the department would not respond to allegations in the claim and directed questions to the city attorney. She said officers involved in the shooting, whose identities have not been made public, have returned to duty. The alleged response by police drew sharp criticism from San Francisco Supervisor David Campos, which in turn prompted a harsh reaction from the San Francisco Police Officers Association.